The new practice group will be co-led out of the firm's London, Los Angeles and Hong Kong offices. Gibson, Dunn & Crutcher has launched an international betting and gaming practice group amid a surge in activity in the sector spurred by the landmark U.S. Supreme Court decision opening up the market earlier this year. The group, which is co-led by corporate partners Jonathan Earle in London, Kevin Masuda in Los Angeles and Graham Winter in Hong Kong, will focus on complex litigation, regulation and compliance, and corporate and real estate transactions. The group launches just months after the firm successfully argued in the Supreme Court case that legalized sports betting in the country. Washington, D.C., partners Theodore Olson and Matthew McGill represented the state of New Jersey in Murphy v. National Collegiate Athletic Association, in which the court struck down a 26-year-old federal law that prohibited states from authorizing state-sanctioned sports betting. Since the ruling, the firm has seen activity in the sports betting sector take off, according to Kenneth Doran, the firm’s chairman and managing partner. 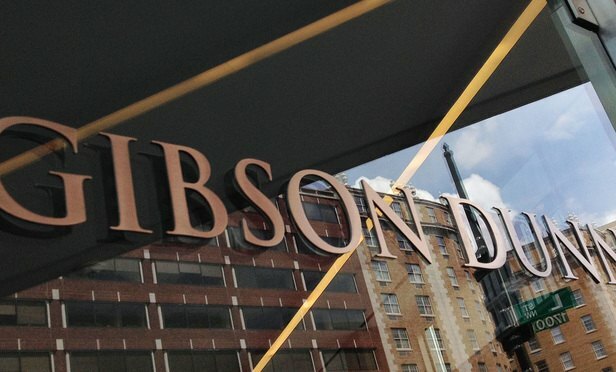 “For some time, the U.S. has always been the Holy Grail for U.K. bookmakers, because you have a potentially massive market that has historically been out of reach that’s now starting to open up,” Earle, who joined Gibson Dunn in 2014 after 16 years at Ashurst, said. Fellow practice head Masuda joined Gibson Dunn last year after more than two decades at Munger Tolles & Olson, while Winter joined the firm in 2011 from Reed Smith. “We can offer our clients in the gaming industry a unique combination of experience that we believe no other firm can offer: a superior regulatory and compliance capability along with a market-leading transactional practice,” Doran said. In April, Gibson Dunn represented Canadian betting company Stars Group on a $4.7 billion acquisition of U.K.-based Sky Betting & Gaming. The firm has also been advising William Hill on a 25-year partnership with U.S. gaming company Eldorado Resorts, and acting for MGM on a major joint venture with GVC Holdings. Earle added that the firm will not hire for the new group immediately. Asia is also a big market for betting and gaming. The region boasts the world’s largest gambling hub by revenue, Macau, while Singapore, South Korea, the Philippines and Vietnam are among the other Asian markets where gambling is legal. Vietnam is set to open a $4 billion casino by Chinese property developer Suncity Group Holdings next year. Gambling companies are also keeping an eye on Japan, where casinos are expected to be set up in the mid-2020s after they were legalized in December 2016.